That's an impressive combination of talent, and the result was a stunning blend of vocal and instrumental jazz. Those qualities, and more, were all present in her dynamic Saturday night appearance. Additionally noticeable in her rendering of an appealing program of songs were Ryan's engaging entertainment skills. Interacting humorously with her highly receptive audience, sharing the spotlight with Woodard and the other players, introducing songs with a narrative describing their background, she offered a complete package, energized by the rich jazz qualities that are at the center of her performance art. Among the highlights of an evening filled with memorable moments: a group of warmly intimate Brazilian songs from Milton Nascimento and Antonio Carlos Jobim, highlighted by an especially touching version of Jobim's "Louisa"; a passionate rendering of "I Love You Porgy," prefaced by Ryan's telling of the song's meaning in the context of the opera Porgy and Bess; a briskly swinging "I Just Found Out About Love"; a laid-back "Sleeping Bee"; a soaring, blues-driven take on "Georgia," featuring a scene-stealing solo from Woodard; and more. Ryan was backed throughout by the sort of sturdy support that most singers dream of having, and often do not. Hendelman's highly praised accompaniment for singers was present in every note he played; Koba and Frank laid down an irresistibly bouyant rhythmic flow; and Woodard's playing, as noted above, provided the perfect, musically illuminating musical partnership. Studio City CA. Jackie Ryan's appearance at Vitello's Monday night was one of the most musically gripping performances of recent memory. Listening to her two extended sets of songs before an enthusiastic, packed house crowd, I found myself wishing that the entire evening had been videotaped. Why? In part for the pleasure of Ryan fans who couldn't make the gig (or those who, like me, did but who would love to have a video for future enjoyment). And in part because a video of her performance could well have served as a virtual seminar in song for vocal classes in university jazz programs around the world. None of all this, of course, was in Jackie's mind as she kicked off the evening with a light hearted romp through the often-covered Bob Dorough/Ben Tucker tune, 'Comin' Home Baby." Music, not video, was clearly her focus - music reaching across the spectrum from blues to ballads to bossa nova, with a lot of other enchanting stops along the way. Beyond that, and at the heart of all her interpretations, it was Jackie's musical story-telling gifts - as a singer and an actress — that brought her songs vividly to life, regardless of their style or substance. More than almost any other jazz singer I've seen lately, she is an irresistible communicator. Jackie was superbly supported by the world class ensemble of tenor saxophonist Rickey Woodard, trumpeter John Reynolds, guitarist Graham Dechter, pianist Gerald Clayton, bassist John Clayton and drummer Jeff Hamilton. Most of the players (with Reynolds replacing Gilbert Castellanos and Hamilton replacing Obed Calvaire) were present on Jackie's highly regarded CD, Listen Here. And her program was completely dedicated to a live, in-performance look at some of the musically and dramatically rich collection of songs on the album. The highlights came, one after another. A lovely bolero, "La Puerta," chosen to honor Jackie's Mexican mother, was done as a musically intimate duet between Jackie's voice and Dechter's guitar. Dechter also played an equally vital role in "Chega de Saudade" ("No More Blues"), sung in English and Portuguese. The piece was wrapped up with a delightful coda in which Jackie did a stunning vocal simulation of Brazilian percussion. Pianist Gerald Clayton played with similar finesse on several tunes, including some full-out gospel piano accompaniment as Jackie preached her way through "Accentuate the Positive," done with the verse. And Clayton's subtle touch, a vital element in almost every number, was especially well crafted in his accompaniment for Jackie's poignant rendering of "I Loves You Porgy." In some of the more lively songs, the horn players provided dynamic instrumental backing, often soloing between vocal choruses, with trumpeter Reynolds delivering in laid-back Chet Baker style and saxophonist Woodard dipping into the warm seductiveness of Ben Webster-like phrasing. Bassist Clayton and drummer Hamilton meanwhile served as the dependable rhythmic engine, keeping everything on track. And there was more: standards such as "How Little We Know" and "The Gypsy in My Soul," more offbeat items including "How Long?" "To the Ends of the Earth" and Dave Frishberg's "Listen Here" (the album title song). Add a pair of relatively new songs: "Rip Van Winkle" by Jon Mayer and Mark Winkler, and a new tune with lyrics by the Bergmans and music by John Clayton - "Before We Fall In Love." Finally, Jackie wrapped this remarkable evening with a romp through "Red Top" featuring both her scatting and her vocalese in another vivid display of her extraordinary abilities. Reveling in this climactic ending, one could only hope that she will increase the number of her too-rare appearances in the Southland. Either that, or start providing some videos for her fans who would like to have more frequent contact with Jackie Ryan and her music. In her Gotham debut at Lincoln Center, jazz thrush Jackie Ryan had the added luxury of Cyrus Chestnut, the big piano player with big hands and big chords, who provided bold and lushly flavored accompaniment. A strikingly handsome brunette with an engrossing smile, Ryan is an adventurous, rangy contralto whose voice comfortably eases from velvet to brass with defining authority. Poised and direct, the lady made a deftly assured Big Apple bow. Based in San Francisco, Ryan has been a fixture at Ronnie Scott's in London for the past eight years. She's not easy to pigeonhole, as her style is varied and reflective of many hip vocalists. What set her apart Monday was a repertoire of freshly minted and rarely heard tunes. Ryan's phrasing may reflect some familiar echoes of the past, namely Betty Carter and Billie Holiday, yet she invests her own subtle interpretive sense of emotional truth. The singer personalized "Midnight Sun" the jazz classic by Lionel Hampton and Sonny Burke, to which Johnny Mercer added an "aurora borealis" that became the envy of all lyricists. Ryan's gorgeous space walk was cushioned by the warming tenor sax of guest Eric Alexander. Her flavorful Portuguese turn with a caressing medley of tunes by Antonio Carlos Jobim defined romanticism. And the lady can swing. For the infectiously bluesy "Opportunity Please Knock" by Oscar Brown Jr., trumpeter Jeremy Pelt offered the accent of a biting growl. "Oh Baby, Come Do Somethin'," a 77-year-old jump tune by Sam Stept, served as an extravagant ride for both Ryan and Chestnut. For a bluesy "Tell Me More and More, and Then Some," a tune composed by Lady Day herself, Pelt added the biting essence of old New Orleans. Ryan demonstrated she could handle it all with her savvy interpretive jazz vocalizing. The lady is a disciplined and resourceful singer, and she is more then ready for an extended run in a Manhattan venue. From her song selection to her voice to her accompaniment, singer Jackie Ryan has it all. Any jazz singer who can claim praise from the likes of Clark Terry, Jon Hendricks and Terry Gibbs deserves careful consideration. And Jackie Ryan has those accolades and more. But praise aside, the proof is always in the hearing. And on Thursday at the Vic in Santa Monica, Ryan superbly affirmed that her singing places her in the top level of the jazz vocal art. It was a presentation that was extraordinary in every sense. Start with the program, which included such lesser-heard songbook classics as "With the Wind and the Rain in Your Hair," "Let There Be Love" and "Never Let Me Go" as well as Oscar Brown Jr.'s witty "Opportunity, Please Knock," the raunchy 1920s item "Do Something," a pair of Brazilian numbers and a gorgeous Italian song, "Estate." That's not only an imaginative selection of material, but it's also a selection that demands musical clarity and interpretive sensitivity â— all of which Ryan articulated with ease. Add to that her remarkable vocal attributes: a timbre that reached from whiskey-and-honey chest notes to clear-as-air head tones; the capacity to slip and slide with ease across everything from gospel melismas to blues belting; a sense of phrasing that managed the difficult feat of telling a lyrical story without interrupting the narrative flow with intrusive sidebar displays of vocal virtuosity. And top it off with arrangements, beautifully played by Tamir Hendelman on piano, Christoph Luty on bass and Dean Koba on drums, that framed Ryan's singing in settings ideally suited to her richly expressive style. Ryan is a singer who deserves to be heard, a singer who revives the finest qualities of the jazz vocal art. "JACKIE RYAN SOARS WITH CREATIVE SONG INTERPRETATIONS"
"...a stunning, multihued vocal tapestry.. JAZZ SINGING AT ITS VERY BEST"
"Jackie Ryan made at least one thing crystal clear at the Vic on Thursday: She is a true jazz singer. At a time when superficial flirtations with jazz abound, with cabaret singers heavily into jazz-style accompaniment and rock favorites from the '60s and '70s discovering the jazz-associated attractions of Gershwin, Rodgers & Hart and Cole Porter, Ryan's performance was a reminder of the art's richly layered depths of expression and creativity. Performing with pianist Jon Mayer, bassist Chris Colangelo and drummer Roy McCurdy, Ryan sang a diverse program of songs with a brilliant combination of enthusiasm, musicality and inventiveness. Blessed with a far-ranging voice filled with rich timbres, she used it in the service of interpretations that were as communicative as they were thoughtful. The most vital aspect of Ryan's performance, in fact, was the way her imaginative melodic transformations enhanced and deepened the songs' storytelling aspects. Those songs embraced a gorgeous medley of two flower-oriented Billy Strayhorn numbers, "A Flower Is a Lovesome Thing" and "Passion Flower," Alec Wilder's rarely heard "Moon and Sand," Duke Ellington's "Jump for Joy," Bobby Timmons and Oscar Brown Jr.'s delightful paean to childhood "Dat Dere" and an English-Spanish rendering of "What a Difference a Day Makes." Add to that a Jobim tune sung in Portuguese, standards such as "East of the Sun" and "For Heaven's Sake" and a bebop-era special ("Robbin's Nest"), and the result was a stunning, multihued vocal tapestry, a convincing display of jazz singing at its very best." "HER STAGE PRESENCE IS OUTSTANDING..."
"Jackie Ryan is a prominent premier jazz vocalist in the first sense of the word. Her debut concert, Friday, September 19, 2003, at Steamers was truly sensational. Ryan hails from San Francisco and has tremendous list of musical accomplishments, including her now three CDs, one of which just released and in stores, titled is "This Heart Of Mine". Her stage presence is outstanding as she adds complete liveliness with keeping time by dancing and moving in be-bop fashion to the music between her jazz-vocalizing choruses..."
"...If listeners want to have beautiful and meaningfully musical jazz CDs that will be around tomorrow, I would recommend the above mentioned CDs and future engagements of Jackie Ryan's performances." For October, 2003 issue, (L.A. Jazz Scene). "JACKIE RYAN IS A GEM..."
"RYAN HAS A RARE TALENT AND COULD BE A MAJOR STAR WITH THE RIGHT PROMOTION. SHE HAS THE ABILITY TO GO TO THE TOP." Singer Jackie Ryan performed at Spazio in July. It was a CD release party for her new CD, Passion Flower on Open Art Records. Ryan was backed by the Jon Mayer Trio � Chris Colangelo on bass, drummer Fritz Wise and Mayer on piano. They did a great job all evening, supporting Ryan in a stellar fashion; even though it was the first time they had ever performed with her. Ryan is from the San Francisco area and has been singing professionally since the age of 15. Her mother is from Mexico and though she is self-taught, she says her parents both had beautiful voices and her mother used to sing all the beautiful Spanish songs and her father had a powerful baritone voice, and was classically trained. Her Mexican, Irish and French heritage gave her a passion for singing and an ability to sing in different languages has helped to take her all over the world as a performer. The attractive singer has a style that reminds me of Sarah Vaughan and Betty Carter, but still, she has her own unique voice. She can get into the lower register with a husky voice or bring it up higher. Her range and intonation is impeccable. She knows how to deliver a lyric and her adlibbing is out of this world. Ryan has a rare talent and could be a major star, with the right promotion. Her set included a lively "What A Difference A Day Makes," a lesser-known Jobim song, "Luiza," which is one of her favorites. This is a very heartfelt tune and she sang it beautifully, handling the Portuguese lyrics with ease. "Lullaby of the Leaves' was done at a very easy, swinging tempo, using her strong, husky voice. Her phrasing and sense of swing was outstanding. Mayer's backing was simple and effective as Ryan scatted tastefully. "Spring Can Really Hang You Up the Most" was a beautiful and sensual version. Horace Silver's "Doodlin' " was bluesy and funky fun. "I've Got the World on a String" was done at a lively tempo and was another standout. The highlight for me was the Bernstein/Comden & Green classic, "Some Other Time." I was really taken away by Ryan's very impressive performance and enjoyed chatting with her after the show. Keep your eye on Jackie Ryan. She has the ability to go to the top. "A GEM OF A SHOW!...Ryan's is a rich, natural contralto. She's a sparkling, showy performer, as at ease with songs by Duke Ellington ("Mood Indigo," "Sophisticated Lady") as she is with such scatting beboppers as Sir Charles Thompson's "Robbin's Nest" or Count Basie's "Red Top." Ryan has sung with Jon Hendricks, greatest of the jazzese lyricists, and handles his tricky lines with style. Any of the Brazilian numbers seem made for her. She handles the Portuguese lyrics of A.C. Jobim's "Luiza" and "Retrato em Branco e Preto" ("Zingaro") with knowing confidence, yet shifts into the difficult lyric lines of Thelonious Monk's "Pannonica" and Billy Strayhorn's "Lush Life" with ease. At her best on material that has elegant melodic lines, stuff that touches the heart and displays her mellowest style, she has both the bebop and jazz crowds behind her all the way." Jackie Ryan has it all goin' on in the jazz vocal department: glowing contralto tones, dazzling technique combined with exquisite taste, and a most imaginative repertoire that includes the Billie Holiday obscurity "Now or Never" and her own lyrics to Joe Henderson's "The Kicker." "One of the greatest female vocalists in the world, the gorgeous and Sarah Vaughan-calibre Jackie Ryan possesses a multilevel range that seduces audiences with songs drawn from five languages. Her sense of timing is a work of gentle boldness and beauty. One feels that the musicians playing with her rise to their most informed and spirited heights. Ryan's repertoire is perfect, as is her improbable, breathtaking version of "Body and Soul" with an a cappella opening." "Once upon a time beauty, gentleness, and romance appeared in our midst without embarrassment or evasion...Billie Holiday, Sarah Vaughan, Dinah Washington. People today are seldom, if ever, treated to such vocal style. Its re-appearance is like an oasis in the Gobi Desert. Jackie Ryan has a multi-octave range and an ability to sing impeccably in five languages (Portuguese may be her most demanding, and successful, challenge) And one cannot ignore her outright loveliness, or her charisma on stage. 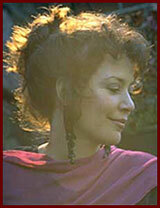 But it is the glow of Jackie Ryan's profound vocal talent that arouses astonishment and appreciation. Seldom do we hear the great American songbook explored with such class and bravado." "She is a composite of Betty Carter, Sarah Vaughan and Morgana King ... She was good when she was here 10 years ago - she's outrageous now." "One of the essential female vocalists on the scene today. Her voice is a priceless sonic masterpiece, and her capacity to use it across five octaves and an equal number of languages is, simply put, stunning. To see Jackie Ryan is a treat; to hear her is a majestic experience." The formidable jazz vocalist Jackie Ryan ....her musicality is subtle and strong, and her range (within a pretty orthodox blues-and-standards idiom) is often startling. Although jazz instrumentalists sometimes pull rank on singers for having it easy, the reverse often seems to hold -- and not only for musical reasons. Lyrics are manipulations of the materials of everyday social exchange; they tempt the performer to come nearer the audience, sometimes to the point of clouding the message, whereas the tumbling patterns bursting from a saxophone infuse personality within the sound, and allow the perpetrator to be a more distant figure. As Ryan demonstrated on a previous visit here with the same band (Brian Cuomo on piano and Joe Gallivan on drums), she can turn up all the raw power of a big-band blues-shouter when she chooses, as she did with an evocative account of "Lonely Woman." At the same time, where some singers can sound self-consciously clever with tricksy, pirouetting jazz, Ryan is light and agile. She exhibits a sonority and pliability of pitch at low registers that recall the late Betty Carter. Ryan is as hip as anyone in her timing and sense of space, but has a refreshing indifference to presentational hipness. She described the story of a Jon Hendricks bop song about childhood with a warmth that paid no mind to those late-night inhabitants of jazz clubs who believe that the mention of children is sacrilegious. The sensitive Gallivan on drums and the resourceful Cuomo on keyboards (he often keeps up a left-hand synth bassline while rattling through uptempo melodies on the regular piano with the right) give Ryan fine support. Author of "Jazz","The Story of Ronnie Scott's" and "Shooting From The Hip"
American vocalist Jackie Ryan again treated the audience at Ronnie's to a feast of jazz vocalisation when she appeared at the club in April, accompanied as usual by pianist Brian Cuomo and drummer Joe Gallivan. Jazz House recorded them at their previous appearance in March 2000, and their album Whisper Not (JHCD 066) is the impressive result. The sensitive Gallivan and the resourceful Cuomo give Jackie sympathetic support on a collection of songs such as Duke Ellington, Benny Golson and Horace Silver, along with standards by the Gershwins, and a stunning version of the Jimmy Van Heusen/Johnny Mercer tune "I Thought About You." Jackie Ryan is a real discovery, and we are proud to have her vocal talent on the label. Don't miss this album -- it's jazz singing at it's best.